Summer Sonic Festival - Party Like There's No Tmr In Japan! Always wanted to go for the Summer Sonic Festival in Japan but don’t know how to go about the ticketing process? Worry no more, because 2016 might just be the year you’ll cross Summer Sonic out of your bucket list thanks to GigOut! GigOut is Asia’s one-stop app for music fans! With this app, stay in the loop with all the best concerts and music festivals in Asia. The app serves 9 countries in 7 languages and has a record of over 2,000 concerts spanning across 160 concert operators across Asia. 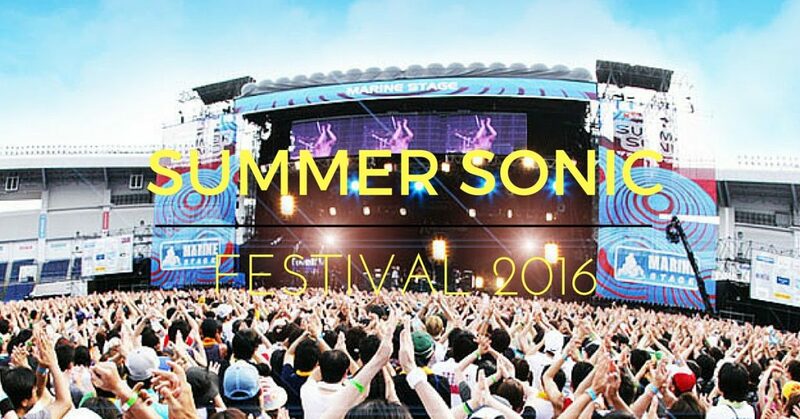 This year, GigOut is the official partner for Summer Sonic Festival 2016! The Summer Sonic Festival is an annual 2-day rock festival that unites festival goers from all over the world at Tokyo and Osaka, Japan. It is arguably Asia’s largest music festival, boasting over 235k concert-goers per year. This year, also the 16th edition, features a stellar line-up including Radiohead, Two Door Cinema Club, The Chainsmokers, Pentatonix, Panic! At The Disco and many more top performers around the world. On top of that, GigOut has been tasked to pick 2 bands from Southeast Asia to play at Tokyo Summer Sonic on the 20th of August, 2016! Yes, you’ve heard it right! Two bands from Southeast Asia will have the chance to perform on THE stage. If you belong to a South-east Asian band, want to take on an international stage, or would like to make a mark at Japan’s biggest music festival, head to GigOut and submit your application before 13 July (2359 SGT)! Whatever genre you play or language you sing in, as long as you’re from Southeast Asia, you qualify to try for a spot at the Summer Sonic Festival! For those who’d love to attend the festival but can’t get past the Japanese (and Engrish) ticketing system, GigOut will make it very easy for you to attend the Summer Sonic this year. All you have to do is download their GigOut app (iOs/Android) and you can purchase your festival tickets and accommodation bundle with a few taps! What are you waiting for? Rockers to be, apply now and don’t forget to provide as much information as you can about yourselves or your act! Festival goers, time to recruit your kaki and source for cheap air tickets!